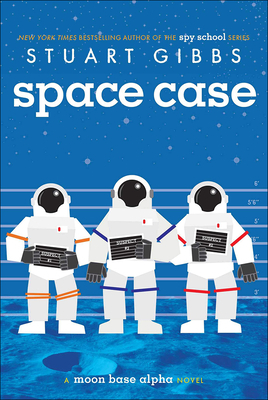 It's a murder mystery on the moon in this humorous and suspenseful space adventure from the author of "Belly Up "and "Spy School" that "The New York Times Book Review "called a delightful and brilliantly constructed middle grade thriller. Like his fellow lunarnauts otherwise known as Moonies living on Moon Base Alpha, twelve-year-old Dashiell Gibson is famous the world over for being one of the first humans to live on the moon. And he's bored out of his mind. Kids aren t allowed on the lunar surface, meaning they re trapped inside the tiny moon base with next to nothing to occupy their time and the only other kid Dash's age spends all his time hooked into virtual reality games.